1. CP Demo projects implementation. o CP Training for CP Advisors for learning CP Basic, CP Case study, CP Financing. 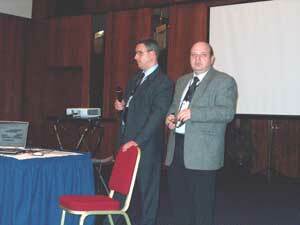 Prepared the CP curriculum for Universities and technical colleges. Ph. D. Manana Dadiani - Head of Renewable Energy Department and Prof. Otar Purtseladze – Energy Efficiency Expert of the Energy Efficiency Centre have been involved in the frame of the Project E0312C the Cleaner Production in selected Countries of the NIS – Moldova, Georgia and Kazakhstan in cleaner production and energy audits. Also Ms. Dadiani and Prof. Purtseladze participated in preparation the CP Demo-Projects for Georgian Companies, and drafting of Manual: Cleaner Production Tools and participated in CP Training modules. George Abulashvili – Energy Efficiency Centre Director have been involved in the project as trainer on Energy Efficiency Issues and CP strategy and principles. 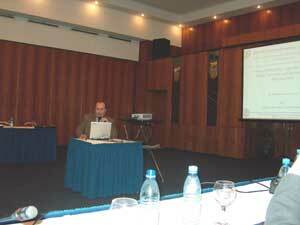 He took part in organization of CP project training modules and Conference “Environment policy issues - CP strategy development in Georgia” 26 November, 2004, Tbilisi, Georgia. 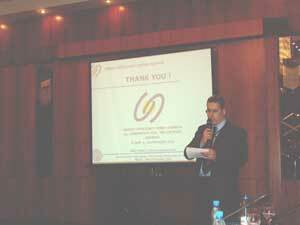 On this event Mr. Abulashvili made presentation on importance of energy efficiency for the country energy security.